Most people use the term “expungement” when wanting to have criminal charges or convictions taken off their record. Under Ohio law, the term “expungement” was replaced with the term “sealing”. Besides changing the name to sealing, Ohio also changed what happens when you seal a criminal record. Most aspects of the new law still provide individuals with the goal they are seeking – to make their criminal records invisible to the general public. However, records can still be seen by government agencies and law enforcement. So, if you are looking for a new job, and it is not with a government agency or law enforcement, the potential employer cannot see the fact that you were charged or convicted of an offense once a sealing occurs. Why you may want your charges sealed. In this tight job market, it is imperative that you present the best impression of yourself and getting any arrests or convictions sealed improves your chances of success. If a charge is sealed, you do not have to list it on a job application (unless government) or if asked during an interview you can honestly say you do not have a conviction. Even if you are not applying for a job, do you want potential dates, co-workers, church members, or even your own family to know you have had a charge or a conviction? We have had clients who came to us because someone posted a conviction on Facebook. It is important that you have a sealing done correctly and using an experienced attorney with familiarity in the county where the charge occurred is essential to ensuring a lifetime of invisibility to the general public. No matter where you live, if you have a record in Athens County, Ohio, it must be sealed in the Athens County courts. It is even important to seal charges that were dismissed as they can still be seen by the general public. What things cannot be sealed. Not all charges can be sealed and we can tell you which ones can be sealed and which ones cannot. 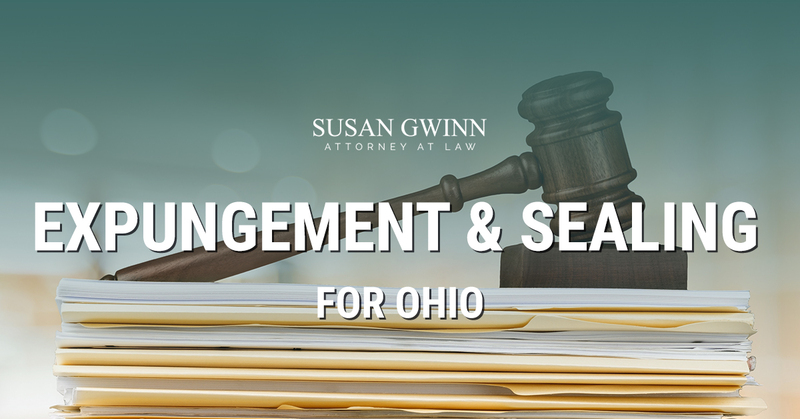 In Ohio, you can seal two offenses in your lifetime, whether felony or misdemeanor. Offenses close in time or at the same time are usually counted as only one for purposes of this law. Traffic offenses may be able to be sealed, but it is a complex issue so call if you have questions. Dismissals can be sealed in most cases. When can I get my charges sealed. If the charge is a misdemeanor, you must wait one year after everything is completed. If it is a felony, you must wait three years after everything is completed. Dismissed charges can be sealed immediately after the dismissal unless connected to another charge that has a longer time period to be sealed. What you need when you call us. We will interview you to be sure you are eligible for a sealing and determine if more than one court needs to have a sealing filed for the same case. We also determine who might have copies of your files to be sure everyone is notified of the sealing We will complete all paperwork for you and send the document to you for signing. We will file the paperwork in the correct courts. In most cases, a hearing is not necessary. However, if a hearing is necessary, we will attend for you or with you. Finally, we will be sure your records are sealed with all agencies involved in the case.